Home » Animals » Knowledge » Mysteries » Myths » Science » Should We Worry If Our Pet Dogs Eat Grass? Should We Worry If Our Pet Dogs Eat Grass? It's a tale as old as time or at least as old as dogs. Let them out the door and immediately dogs mowing on the grass, like it's covered in bacon. Now, it begs the question "why do dogs eat grass?" 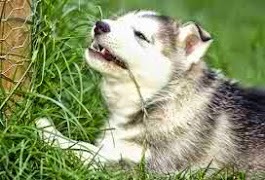 One commonly held theories, dogs use grass as a natural remedy to induce their own vomiting. The idea here is that dogs might start grazing when they feeling gassy or there's something else going on its digestive system that they wants to get rid of. But so far, actually, not too much evidence for that. 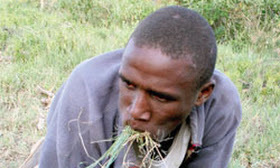 Although, eating grass can lead to vomiting that typically only happens to about 25% of dogs. Really, They Just Love Eating Grass? Instead, the simplest explanation is that, dogs eat grass because they like it. As based that the average dog will attempt to eat pretty much anything given the chance. Keep in mind that wolves, coyotes and other wild canines regularly dabble in plant eating. Unlike cats who are purely carnivorous dogs are omnivores. So, not only will they scavenge anything if they're hungry enough including fruits, berries and grass. But many wild dogs also hunt herbivores and devour their stomach contents whole. Some experts believed that the grass eating maybe a natural way for domesticated dogs to have a very diet. Now, if your dog is eating a lot of grass. It might have some kind of nutritional deficiency. Dogs like us don't have the enzymes to break down cellulose─the main energy source in grass. So, they may just be grazing for a source of fiber. Some grasses can provide decent amount of minerals like phosphorous, calcium, and potassium. Which might explain why some dogs are known to only eat certain kinds of grass. Either way, a little grass eating can be normal and harmless assuming the grass wasn't just hosed down with the bunch of herbicide and pesticide. So, if you're worried about your dog nutrition or digestion. You can always ask your vet for advice on changes to your pup's diet. You can also be thankful that your pet dog gone for the grass instead in the poop─because that's the thing that happens for dogs, commonly. Thank you for reading Should We Worry If Our Pet Dogs Eat Grass? posted on the website Kwentology if you want to redistribute this article please include the link as the source. Have some kuwento to share? Contact us!